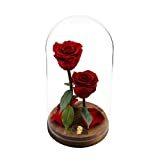 i Click 'view all' to instantly compare this good deal with offers on other top flower bouquets. 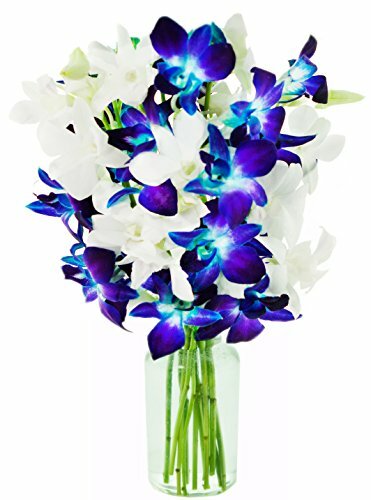 Kabloom Starry Night Fresh Blue & White Orchids Flower Bouquet w/ Vase is currently selling at $37.99, approximately $0.74 lower than average, giving a potential saving of $50.00 right now. With a lowest price of $37.99 and an average of $38.73 it is selling on the low end of its usual range. Price volatility is 1.04% (meaning it does not change often), so the price should stay low for a while. Right now this product is a recommended 'good deal'. The current deal is also the best price on this item over the last month. 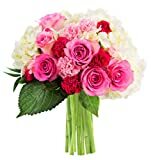 Compare the current price, savings (in dollars & percent) and Buy Ratings for the top Flower Bouquets that are closely related to Kabloom Starry Night Fresh Blue & White Orchids Flower Bouquet w/ Vase. Here is how Kabloom Starry Night Fresh Blue & White Orchids Flower Bouquet w/ Vase compares with other leading Flower Bouquets. A best seller, these unique long-lasting, Blue and White dendrobium orchids remind us of those starry nights. The fresh cut mixed bouquet of orchids make a great gift for Valentine's Day, Mother's Day, Baby Showers, Bridal Showers, Corporate Gifts, Gifts for the Home and even Wedding Gifts. Amazon Prime Members can enjoy free shipping with free next-day delivery. FeaturesBouquet Includes: 5 Blue Dendrobium Orchids, 5 White Dendrobium Orchids in a Glass VaseTO INCLUDE A PERSONAL GIFT NOTE - Check the box labeled "This is a gift" in your cart or "Add a Gift Receipt" at checkout.FREE OVERNIGHT SHIPPING: To get it next-day, order by 12PM EST between Monday through Thursday. There are no Saturday, Sunday or Monday Deliveries.Your fresh cut orchids are shipped in bud form for optimal vase life; blooms will open in 2-3 days, as shown in product photo. Not all buds on orchids bloom.